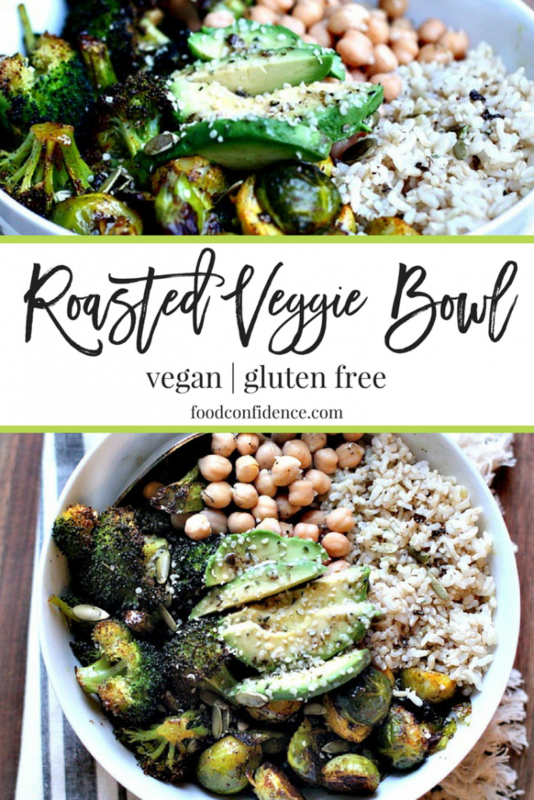 Roasted veggie bowls…is there anything better? I don’t think so. Such an easy meal that keeps you full and satisfied for hours. 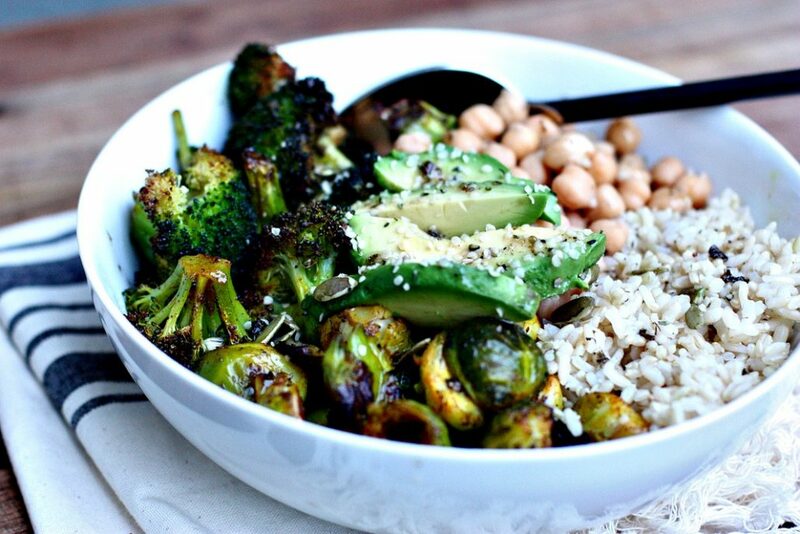 What I love about veggie bowls are that they don’t focus on a recipe, they focus on foods. I start with what’s in season, readily available and fresh. 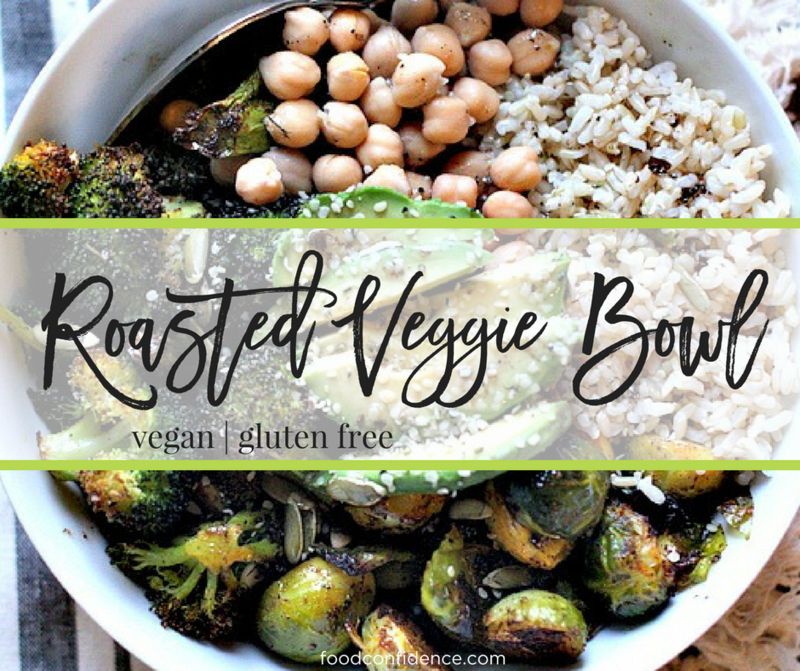 Since roasted veggies are a staple in my house, they always make it into my bowls. My usual go-to’s are Brussels sprouts and cauliflower (like this fav), but today I roasted up some broccoli for a change of pace. Even if you’re not the best “cook” out there, these roasted veggie bowls are so simple to put together. 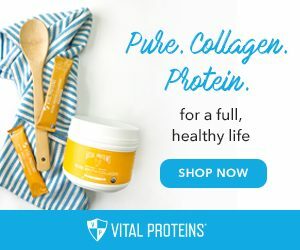 Next time your grocery shopping, buy 2-3 cruciferous-type vegetables you’d like to eat in the coming week, roast them up with some olive oil and sea salt (like this) and then start building your bowl with other ingredients you have on hand. I used brown rice in this bowl, but quinoa would work well, as would farro. To amp up the protein I always add beans to my bowls, too. Chick peas, lentils, and black beans work great and add nice flavor and filling fiber. You could also add some leftover grilled chicken, a can of tuna, or some broiled salmon for a heartier meal. I always top my roasted veggie bowl with avocado and hemp seeds (I like pumpkin seeds, too) and a drizzle of salad dressing. Some times I even make my own, like this avocado cream. Get confident in the kitchen by creating recipes with your ingredients, instead of the other way around. Eating healthy can (and is, in my house) absolutely simple. 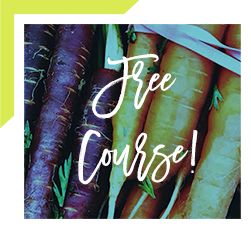 Recipe free, even. 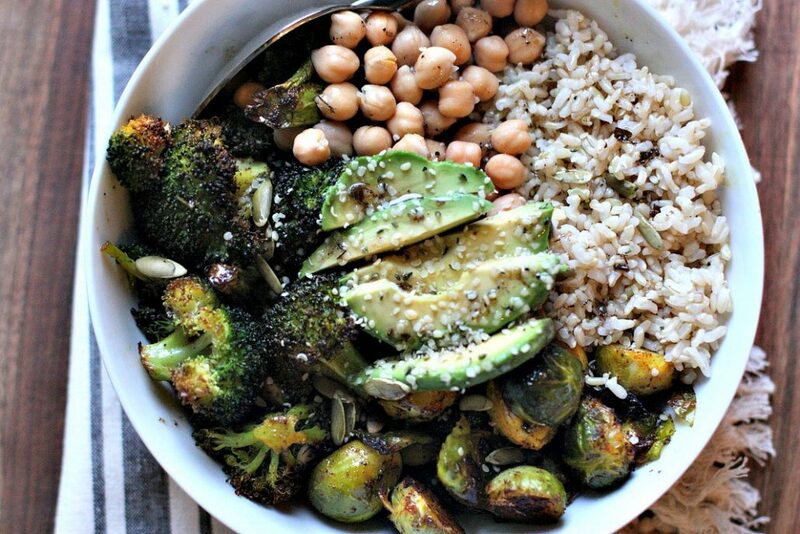 This roasted broccoli and Brussels sprout veggie bowl is the perfect no recipe meal! Roasted veggies have so much flavor! 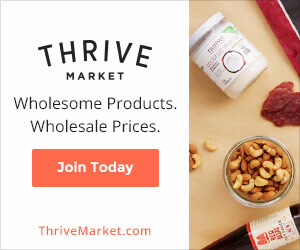 It’s great pairing them with a whole grain and some healthy fat for a delicious, easy meal. 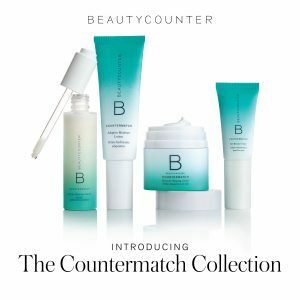 This one looks fantastic! That’s such a beautiful bowl! Looks delicious! Oh this bowl of goodness looks absolutely delicious! 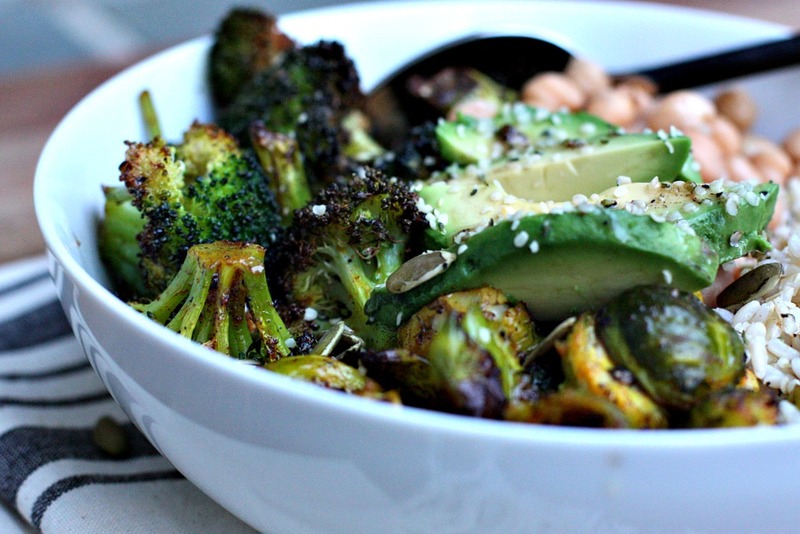 I love brussels sprouts + all the green veggies! I cannot wait to make this…so many nutrients + flavors! Yummy yummy! Love all the colors in this bowl. I’m definitely going to be passing this non-recipe recipe on to a vegan client of mine!